Newman University, like the rest of America, is looking to lend a helping hand to those affected by Hurricane Harvey in whatever way they can. Sonja Vogt, help desk and classroom technology coordinator, has organized “Pack a Backpack for a Student” with the goal of gathering and sending school supplies to an elementary school in need. Originally, the Pack a Backpack program was started for Owens Elementary where Vogt’s sister-in-law, Sheri Myers, and niece, Kimberly Benigno, work in the math department. Vogt and her husband, John, who is an associate professor and chair of the division of science and mathematics at Newman, have kept in touch with two. After hearing of the damage, the Vogts decided they had to do something to help. Sonja contacted Owens Elementary Principal Amy Frank, who provided her with a list of items that the school would like donated. Soon after she sent the list, Frank realized the situation was much more dire for Moore Elementary and asked that donations be sent to them instead. Their school is scheduled to start on Sept. 11 and the damage is bad enough that they plan to relocate for at least the fall semester. Donations are being taken at the student help desk in Dugan Library. 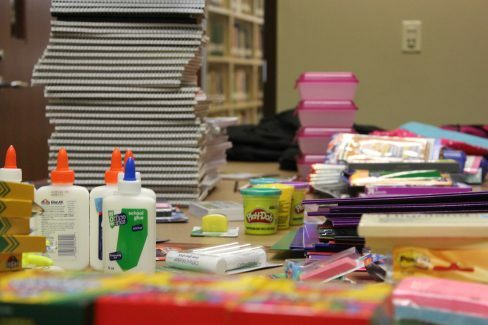 Already more than 300 pencils, 72 notebooks, crayons, highlighters and more have been collected. There is a large need for school supplies as well as Target, Walmart and Visa gift cards. If you would like to make a monetary donation, please visit Moore Elementary’s donation site. Items collected at Newman will be delivered to Moore Elementary before school begins. Donations will be accepted and delivered after Sept. 11 as well. The school is requesting new items rather than used and items do NOT need to come in a backpack. Those interested can use the list above for ideas, but anything and everything is welcome. 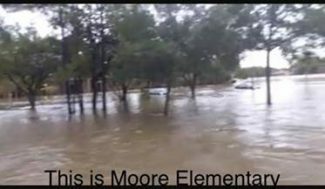 Moore Elementary has notified us that they have run out of space for supplies. Vogt is eager to help hurricane victims and quickly found a school in Jacksonville, Florida that could use our assistance. Tolbert Elementary was hit by Hurricane Irma and is 100% low income.